So fellow travelers, it’s time for church. 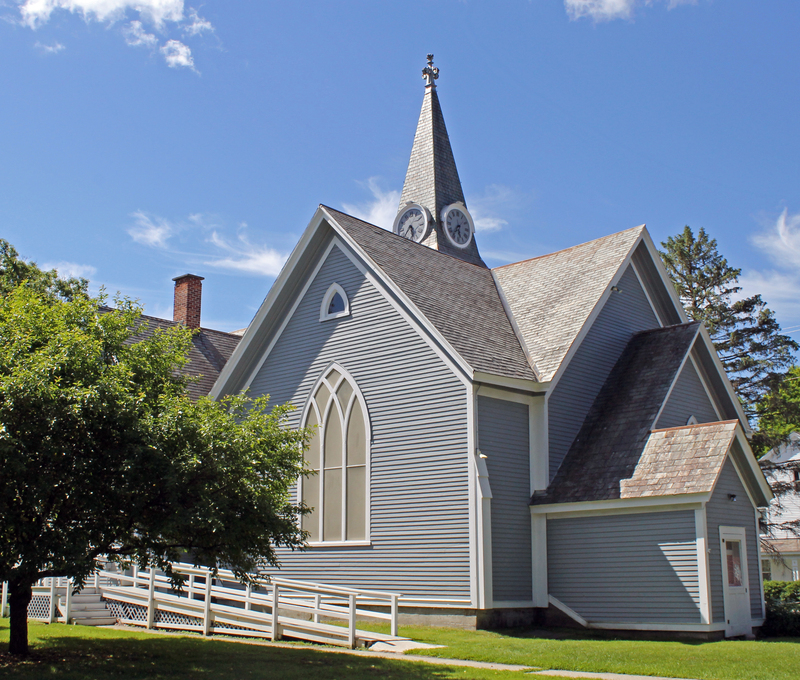 This is Rupert United Methodist Church located at the corner of routes 315 and 153 in the town of Rupert Vermont. I have had the great blessing of attending Sunday Services here with my friend Kate during several Bedlam Farm Open House weekends. When we attend services, the choir always enlists Kate’s beautiful voice to join them so I have the double benefit of hearing her sing and listening to Tom Atkins lead morning worship. Tom’s writing, particularly his poetry speaks right to my heart. I look for his posts each day, knowing I am sure to find something to ponder or chuckle over. His photos often become a zen koan for me, images which still my monkey mind and help me refocus scattered energies. To hear him preach is to be delighted and challenged and reconnected with foundational faith. As a child my family attended St Mark’s Lutheran Church* on Kimball Ave in Yonkers. 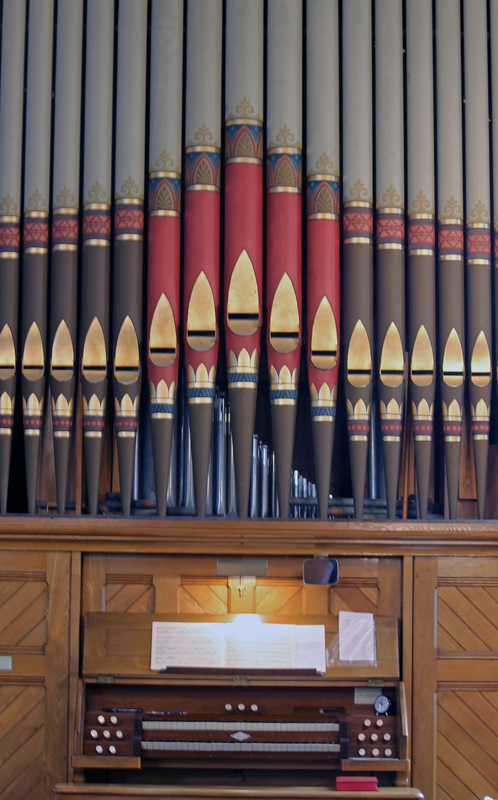 I have very clear memories of the long wooden pews, dark blue hymnals and beautiful stained glass windows. As I gazed at the intense colors in those windows, the music of the hymns and liturgy would carry my mind to a quiet peaceful center. I much preferred sitting in church to attending Sunday school, where most of what I was being taught did not match what my heart felt it knew about God. Asking, “If Jesus isn’t dead because he rose again, then why is He still dead on the cross in church?” resulted in a directive to stop asking questions and just pay attention. (This was in the years before Lutheran churches would change to using the Cross of Resurrection.) Eventually of course I would not only start asking questions again, I began to actively seek answers exploring both Eastern and Western beliefs. The path to my current state of faith is the subject for another post, but it was a path on which I reclaimed some foundational experiences from my childhood, the meditative effect of stained glass windows and liturgical music are among them. 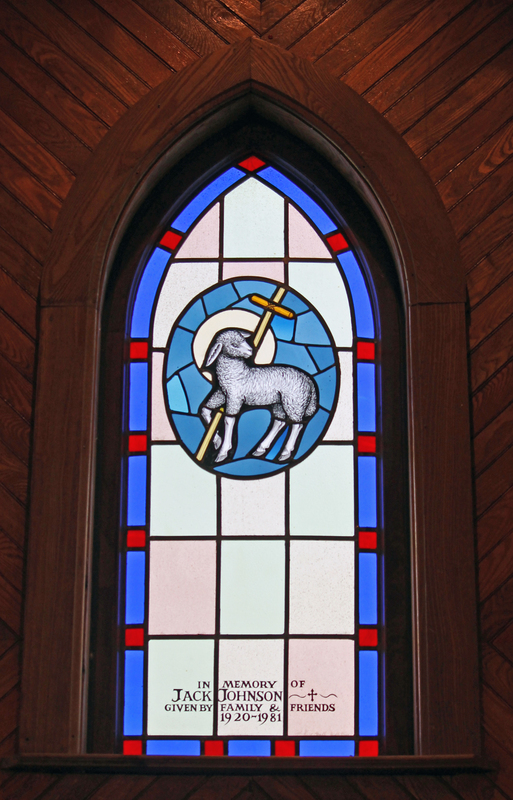 Rupert UMC is a sanctuary of rich wood tones and colorful stained glass. It has a small congregation with a big spirit. Their generous hearts extend the warmest of welcomes. The first time I visited I felt as if I had arrived at a home I didn’t realize I had, a perfect metaphor for my personal experiences of spiritual awakenings. It is a feeling which tells me God is not only present, but fully expressed in this community. I’ve visited many different places of worship around the world; few and far between are the ones which truly feel like home. Returning to safe haven was a welcome respite after a month of emotional storms which had left my heart feeling battered. Unexpected losses and a betrayal of trust had me in deep soul searching mode for weeks. Seated in the center of this sweet sanctuary, I felt the healing colors from the stained glass windows fill my spirit with childhood memories of Sacred Presence. The familiar chords of the invocation cradled my heart with simple comfort. Gazing up at the mandala of wood above me I opened my heart again. Letting go eases the pain of growth and change. I know this. I have done it before; I can do it again and I will emerge deeper in compassion and stronger in faith. Tom’s sermon, punctuated by his tool box illustration, had me nodding and smiling. The right tools whether physical, emotional or spiritual are essential to accomplishing any goal. Point taken to heart, ready to move forward now thank you! And speaking of moving forward, after some chatting and coffee and home baked goods, it would be time for me and Kate to get moving for two very important appointments. Lunch with another friend at Marigold Pizza and a walk in the woods with Tess. *Editorial note: St Mark’s has a recent claim to a bit of Hollywood fame. Some scenes for the 2008 movie DOUBT (starring Meryl Streep and Philip Seymour Hoffman) were filmed in the gymnasium of the education wing!